Four collaborative projects have today been launched, to explore how the digital capability of students can be harnessed to support staff in their use of technology for teaching, learning and assessment. Funded by the Education and Training Foundation (ETF) and managed by the Strategic Development Network (SDN), the projects are an opportunity to test specific models of student-staff partnership, measure which are most effective in enhancing learning, and share the findings with the wider sector. The four collaborative project groups include over 50 practitioners from a range of organisations, including independent training providers, FE Colleges and Local Authority providers, with at least 100 individuals involved in the student-staff partnerships. Projects are now starting to conduct initial practitioner research and form their student-staff partnerships, and will continue through to March 2019. Findings and practice will be shared in the coming months through a number of blogs/vlogs. The final set of practical outputs, case studies and research findings will be pulled together into an overarching toolkit in April 2019, supported by a series of practice-sharing webinars. The ETF is the government-backed, sector-owned national workforce and professional development body for the Further Education (FE) and Training sector. Its role is to support the continuing transformation of the technical and vocational education system by ensuring the sector has world-class leaders, teachers and trainers. This leads to ever-improving learner outcomes, a better skilled workforce for employers and a stronger economy, country and society. 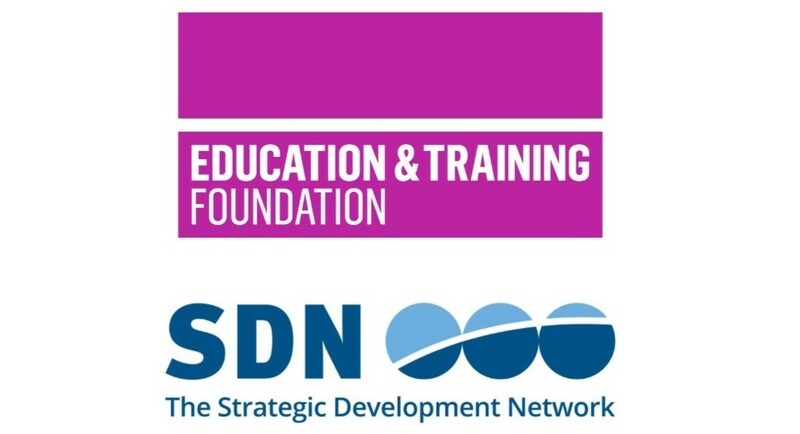 The Strategic Development Network (SDN) team specialises in FE, HE and apprenticeships, supporting training and education organisations to grow, adapt and improve their provision. SDN has worked closely with 80 employer trailblazer groups and supported over 900 apprenticeship organisations and 5,000 staff to prepare to deliver apprenticeship standards and end-point assessment. In addition to programme management, SDN provides events / training, resources, consultancy and research.